One of the tools we can use to assess housing prices in a specific area is the income to home price ratio. Generally, median disposable household income should be able to support the median home price. Disposable income is gross income minus current taxes. The traditionally sound formula for assessing whether a particular home is affordable is that the home should not exceed two and a half to three times the buyer’s household income. Certain metropolitan areas can be more expensive and the ratio might run a bit wider. Where I live in Los Angeles, for example, we have historically seen a ratio closer to three and a half times annual income. From time to time I like to take a look at home pricing in a particular neighborhood in the Los Angeles area. A couple of months ago I examined the situation in Burbank in my post LA Housing Is Still Too Expensive . At the request of Xtine from the blog Flip City I have now run the numbers for Echo Park. 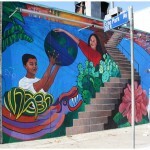 Echo Park is an older Los Angeles neighborhood just northwest of the downtown area. By older, I mean largely built up in the 1920s and ’30s. It was initially the bedroom community of the silent film industry and later became a predominantly working class Latino community. 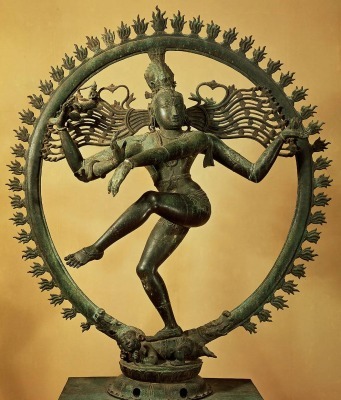 It has always been known for its artists and bohemian culture. 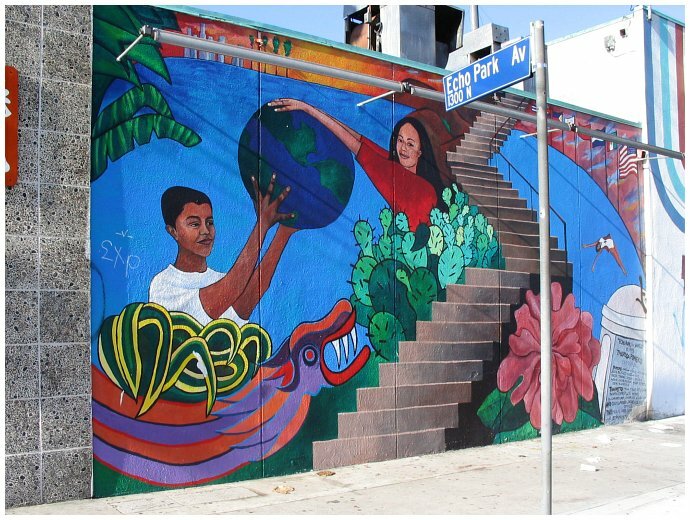 Echo Park has seen a lot of gentrification over the last fifteen years or so, which really picked up during the housing bubble years with all the excess faux wealth floating around. Prices skyrocketed during this time and it is now unaffordable to most prospective buyers. But is this justified? Let’s take a look. 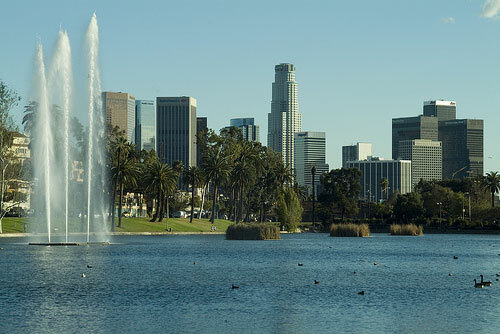 The annual median household income in Echo Park is around $36,000 as of 2008, with close to a third of households living under the poverty line. I was not able to find newer statistics regarding income, but I don’t imagine it has risen over the past two years. Given the 12%-plus unemployment rate in California and continuing budget cuts and furloughs, I think we can assume this number has not grown much, if at all. 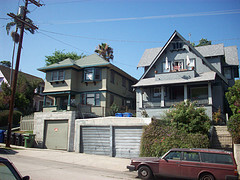 The median selling price of a single family residence in Echo park from April through June of this year was $374,000. This is far below the lofty median of $680,000 we saw at the bubble’s peak, but still up $79,000 from last year. I imagine the latest bounce was due largely to buyers rushing to get in on the federal tax credit that came to an end during that period, thereby creating a temporary surge in demand. If we look at the market without the stimulus of the tax credit we can estimate the median selling price would be around $300,000. So, let’s examine the income to home price ratio and see where Echo Park stands in its current valuation. If we take the statistics at face value we can see that with an annual household income of $36,000 in the area the median home price, at three times that, would be justified somewhere in the area of $108,000. If we consider that this is historically a somewhat more expensive area and run the figure at four times the annual household income we can see the median priced home should be running around $145,000. Note that I am using gross income statistics here, not the reduced disposable income figures which would really afford less than that. So in the very best case scenario for home price valuation we are looking at an ideal median price of $145,000 for Echo Park, but the actual home price median is running at $374,000! That’s ten times the median gross income of the town’s residents. Even if you adjust for the stimulus of the expired tax credit and suppose prices will return to $300,000, you are still looking at overvaluation of more than fifty percent. So we can conclude that prices in Echo Park are still much too high. 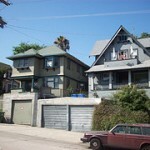 There is room for home prices in Echo Park to drop by at least half.